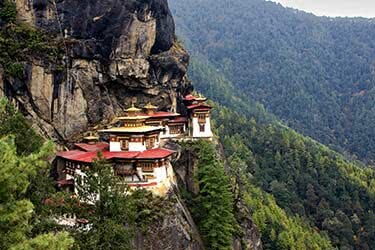 This thrilling 12-day Bhutan itinerary showcases some of the Himalayas’ most stunning landscapes, visiting tiny remote villages and passing through maize and rice fields. 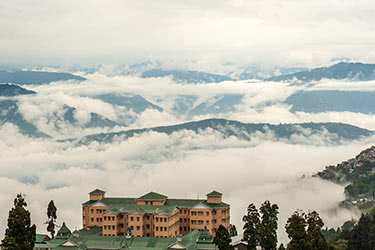 Enjoy the hospitality of the locals and be humbled by the vastness of this mountainous terrain. 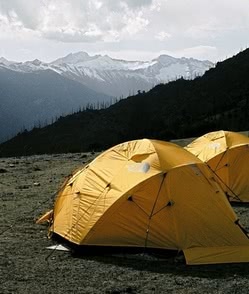 Accompanied by guides and horses, you’ll spend most nights camping, free to enjoy a close connection with nature. 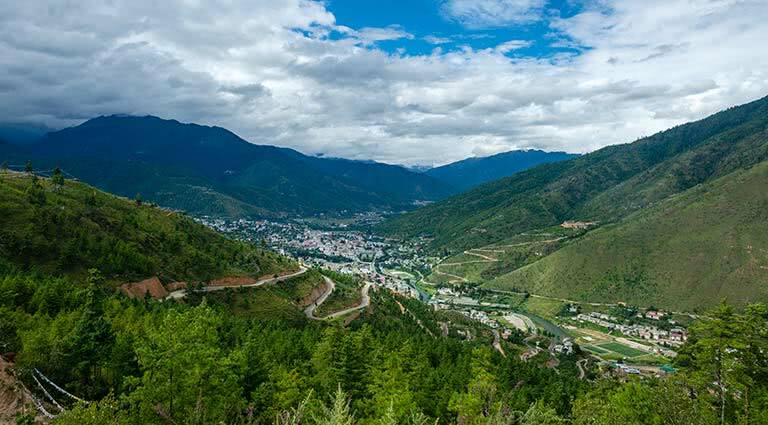 Fly to Paro and drive 4.5 hours to Punakha, the old capital of Bhutan, enjoying the views from Dochu La pass on the way. 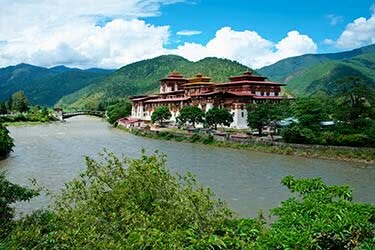 There are many historic sites to explore in Punakha, including the island fortress Punakha Dzong and the Chime Lhakhang, a uniquely-adorned 15th century temple said to bless visiting couples with fertility. 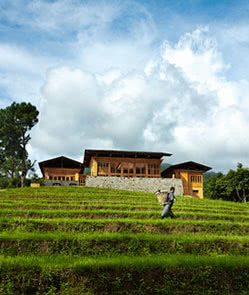 Tonight, stay at the luxurious Amankora or Uma Punakha for a restful night's sleep. 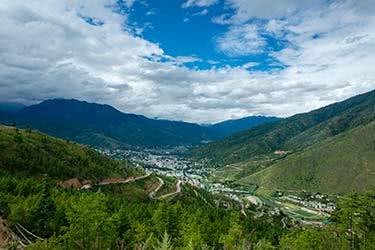 Today you'll drive 6.5 hours to Bumthang, which is home to a high concentration of sacred sites. 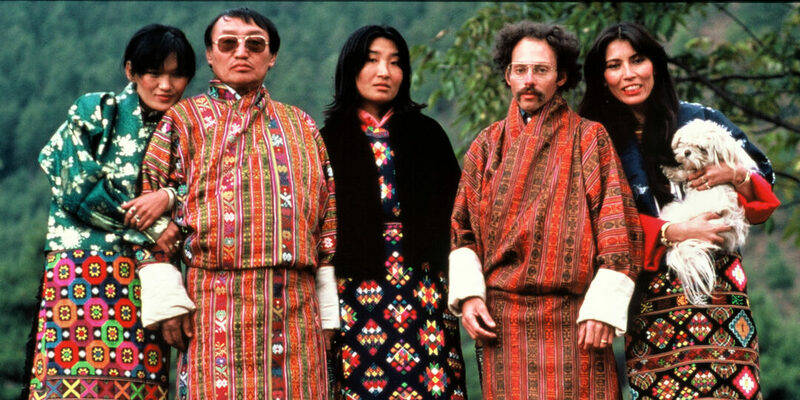 You'll visit the Yathra Center in Chume, the beautiful Kyichu Lhakhang Temple – the oldest monastery in Bhutan – and see the Swiss Farm, which makes its own cheese using Jersey cow milk and brews the national beer, Red Panda. 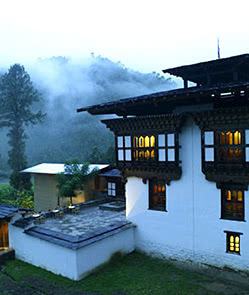 In the evening, enjoy a comfortable night's sleep in the luxurious Amankora Bumthang, which boasts a view of Wangdicholing Palace. 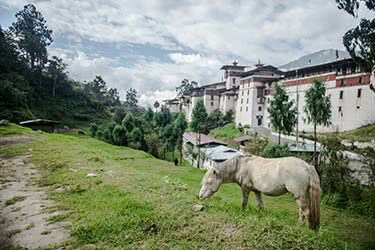 You will start your trek from the Bhutanese town of Lhuntsi, and the monastery Lhuntsi Dzong at 5,600 feet elevation. 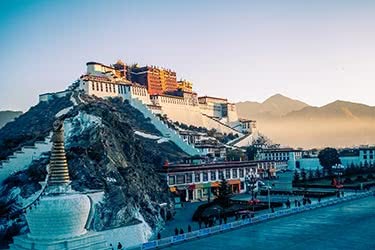 The day’s nine-mile trek starts at a suspension bridge a few kilometers from the monastery, crossing the Kuri Chhu river and following it to the banks of the Khoma Chhu river and pilgrimage site of Singye Dzong. 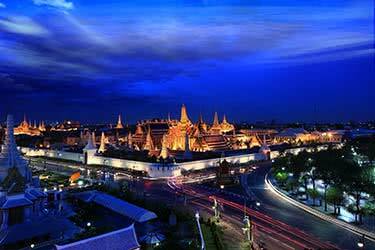 Along the way, you’ll trek through rice and maize fields and various tropical plants. 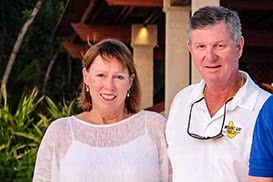 Tonight, you’ll spend the night in Khoma at 5,000 feet, famed for its long tradition of weaving. 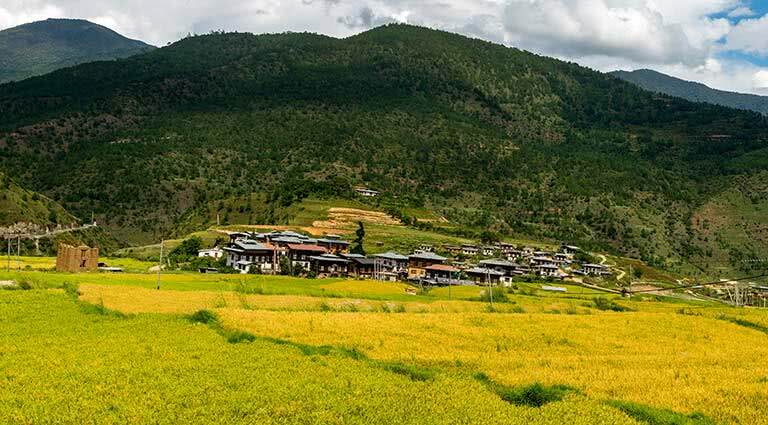 The 12-mile trek to Chengleng involves a steep climb as you pass through the village of Gyonpa Karpo, a small settlement with a Nyingma Buddhist monastery at 6,500 feet. 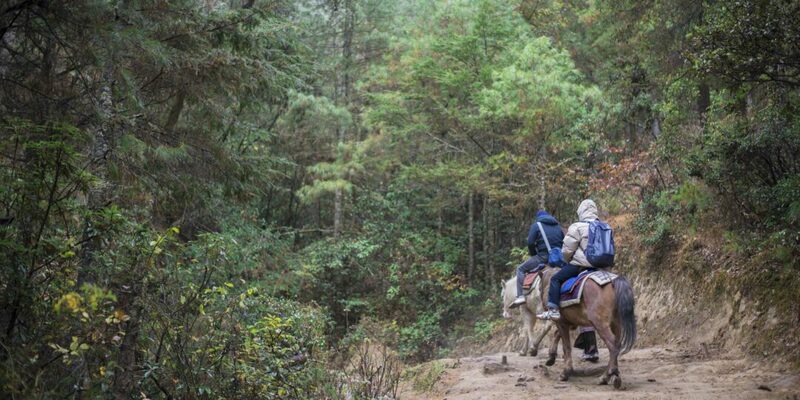 Passing Gyonpa Karpo, the trail eases a little as you encounter oak forests, and wild orchids and mushrooms arriving in Chengleng at 6,000 feet to set up camp for the night. 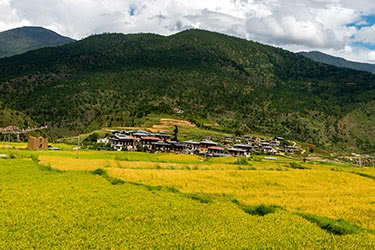 Today you’ll make the 11-mile trek to the picturesque village of Minji. 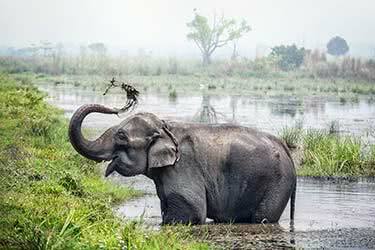 The trails winds through oak forest-covered gorges and around mountains on the way to a cluster of houses and rice paddies called Sham. 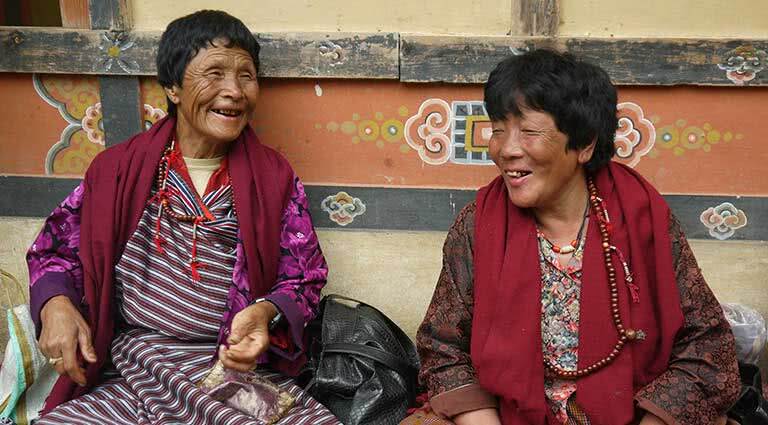 In the afternoon you will arrive at Minji, where villages will be waiting with a warm welcome, and where you will set up camp for the night. 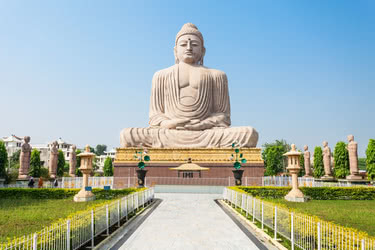 The hills and forests surrounding Minji are ripe for exploration and you have a day here to trek to a nearby temple or monastery or just relax in the village and observe rural life. 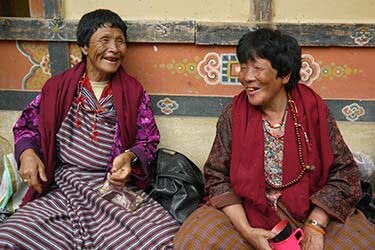 The mountainous landscapes here are humbling in their size and scope, and the local Bhutanese are a deeply spiritual and gentle people, more than happy to share their way of life with visitors. 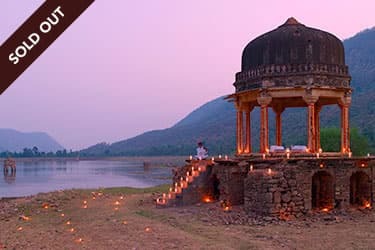 Tonight, enjoy a traditional banquet with the locals and another night at your camp at Minji. 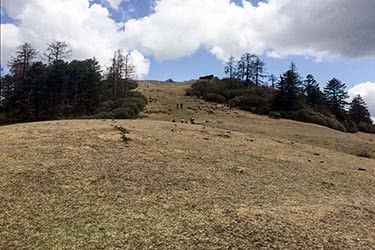 From Minji, you’ll head downhill to Wambur on a 12-mile trek of around 4 to 5 hours. 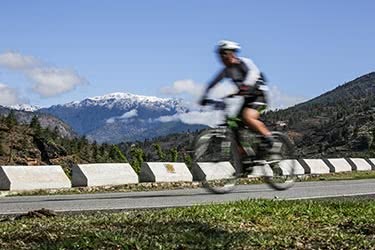 An undulating trail will bring you to a few different villages, through rice paddies and forest to your destination in Wambur at 5,500 feet elevation. After a village and school tour, settle in for dinner and set up camp near the primary school. 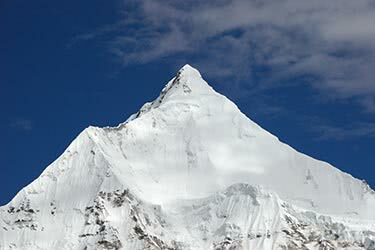 Today, you’ll make the descent to Domkhar on a trail through sparse pine tree forests and lemongrass. 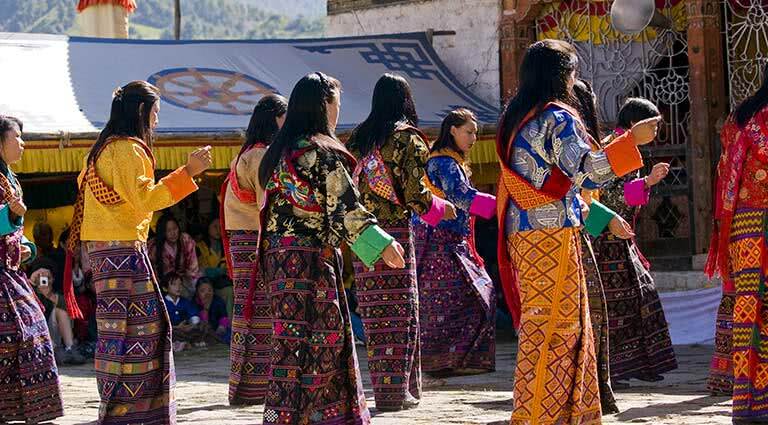 Domkhar village is the location of a lively three-day festival established by a Nyingma scholar in the 16th century. 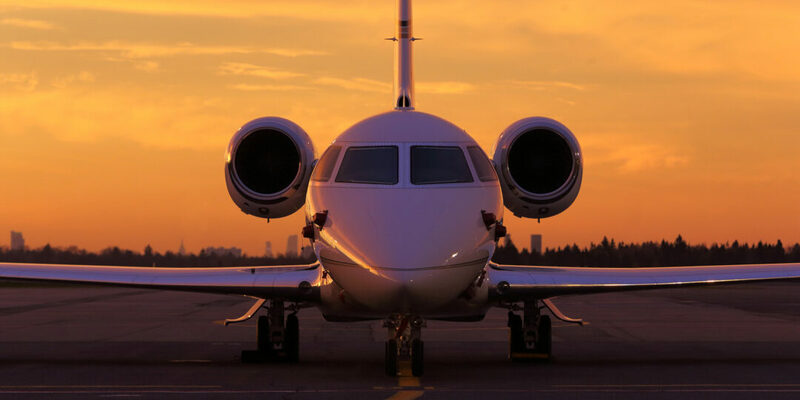 It’s here where you’ll enjoy dinner and set up camp for the night. 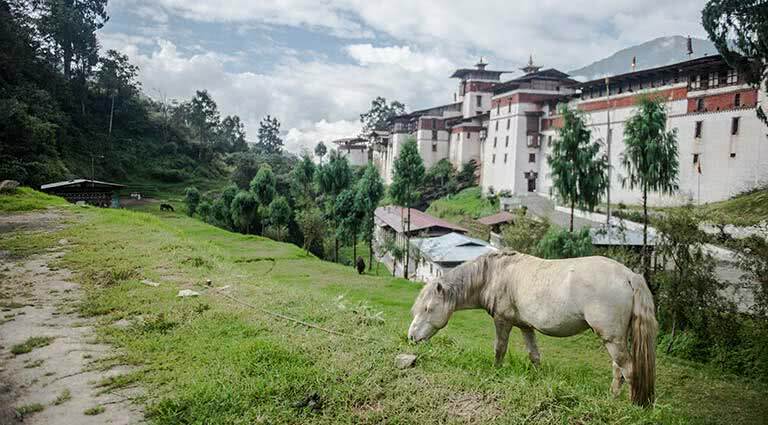 On the final day of your trek through Bhutan, you’ll head to Lhuntsi on foot where the horses and guides will stop. 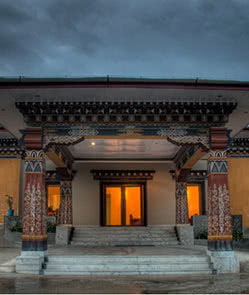 From there, you’ll drive back to Mongar and stay at the Wangchuck Hotel. 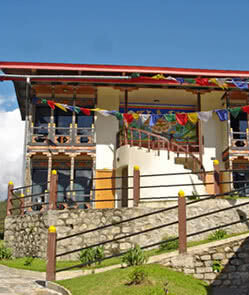 Enjoy the relaxed pace and beautiful mountain views of Mongar before continuing your onward journey. 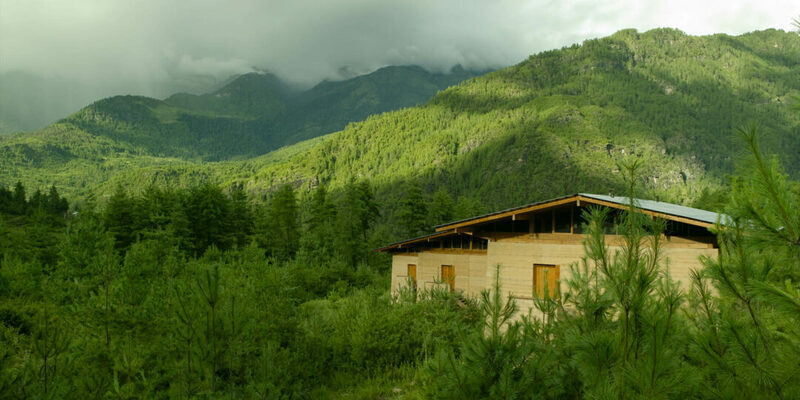 The pretty mountain village of Trongsa is your next destination. 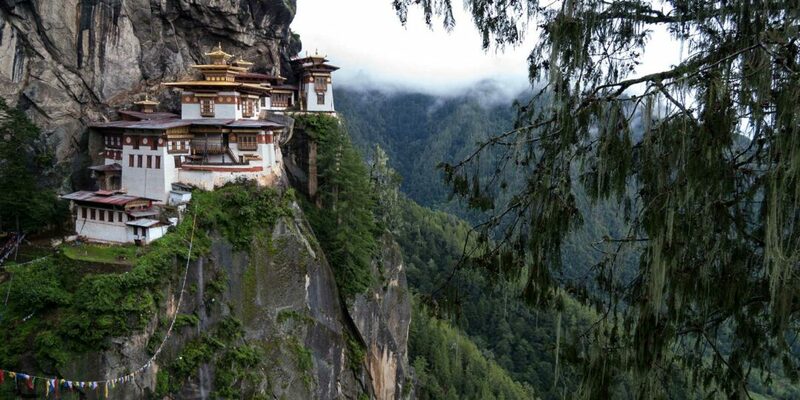 Here, you'll see the famous fortress Trongsa Dzong, perched over the village on the mountainside. 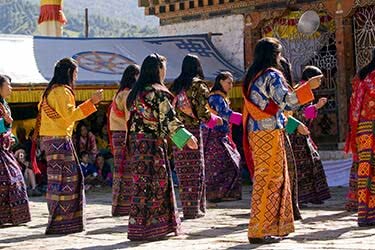 Next, you'll have the chance to learn about Bhutanese history at the Trongsa Museum of Monarchy, with more than 100 years of royal history on display. 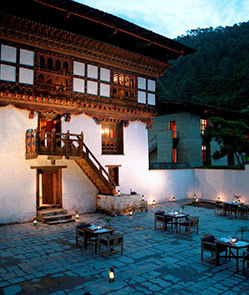 Tonight, check into the Yangkhil Resort, offering stunning views over the dzong. 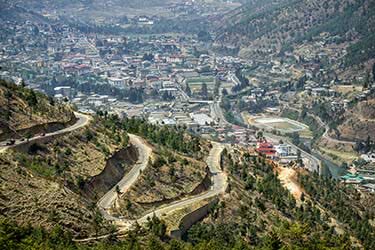 Today you drive 6 hours to Thimphu. 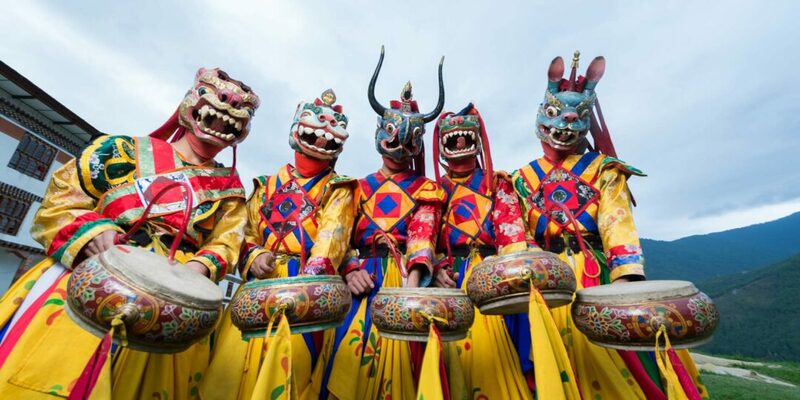 Visit the Royal Textile Academy detailing the traditional Bhutanese craft of weaving, then continue to the National Library, a major repository for Buddhist scripture holding many rare manuscripts. 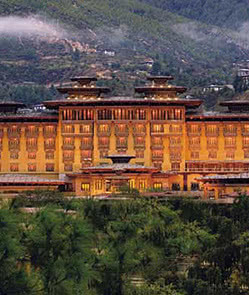 Tonight, check into the luxurious Amankora resort or the Taj Tashi - two of the best hotels in Thimphu. 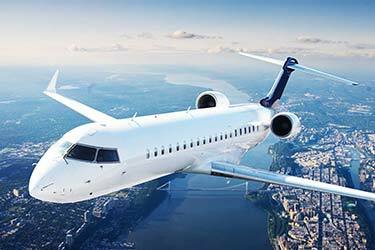 Drive 1 hour to Paro and fly home. 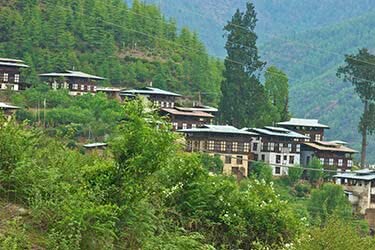 Located in the eastern region of Bhutan, the basic Wangchuck Hotel is situated just above Mongar town on a gentle sloping hill. 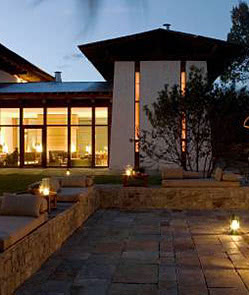 With a total of 33 rooms, the rooms feature a view of the mountains and valleys nearby. 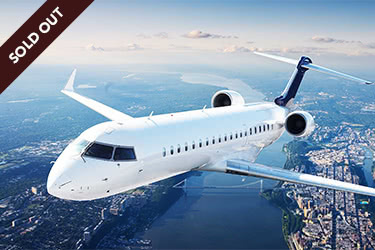 In addition, the hotel features a business center, banquet hall, health club with steam and sauna (opening soon), daily housekeeping services, internet access, and a restaurant with both indoor and outdoor seating.